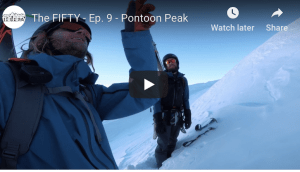 Ski legend and Warren Miller Ski Portillo veteran, Chris Anthony , is heading to Portillo in Chile this month for the annual Ski With The Superstars camp with Chris Davenport , Mike Douglas , Wendy Fisher , and Ingrid Backstrom . A year ago I was with him and so was the late Shane McConkey . There are not many places in the world you can access and ski with the world’s best. Davenport’s camp has been running for seven years and each year twenty five clients from around the world pay their US$2000 to turn the same snow as their idols. It is worth every penny and more, which is just as well as the week’s bar bills are more legendary than the big name skiers. 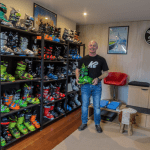 Another Australian Skiing legend is Andrea Binning who’d you bump into if you were in Chamonix, or if in Squaw Valley you might bump into American Kit des Lauriers Sweden’s household ski name Jon Olsson hangs in Monaco where there’s not a lot of snow but not a lot of tax either. All-round American legend Tanner Hall together with Seth Morrison own the new Retallack cat skiing back country resort in Nelson, British Columbia. There’s a high chance of meeting podium-grabbing names when there is a big event on in any resort. 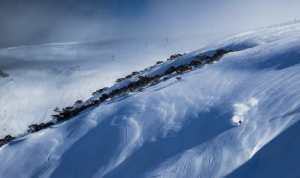 The Verbier Xtreme on the Freeride World Tour hosts the likes of Jess McMillan Aspen is heaving with big names come the Winter X Games time each January. 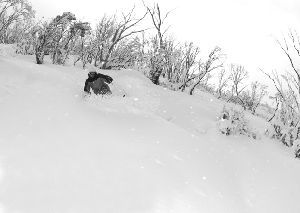 Think Xavier Bertoni , TJ Schiller, Simon Dumont and our own Anna Segal from Mt Buller. Across the ditch this year the Wells Brothers, Sam Smoothy and Janina Kuzma are turning it up for the Volkl NZ Freeski Open in August, Russ Henshaw and Anna Segal feature in the NZ Winter Games and JT Holmes will be in the World Heli Challenge in September. you could always just ski in the tracks of legends and build yourself a kicker at Chad’s Gap, Utah where Tanner Hall made his famous double ankle breaking jump or tear up the slopes of Lake Tahoe like Shane McConkey in Yearbook and the Fiordlands of Norway for his famous Bond scene in Seven Sunny Days. Or you could indulge your inner James Bond within and track the secret agent’s famous ski stunts and take on the Swiss Murren slopes of On Her Majesty’s Secret Service or the Morteratsch glacier that featured in View. Phew! 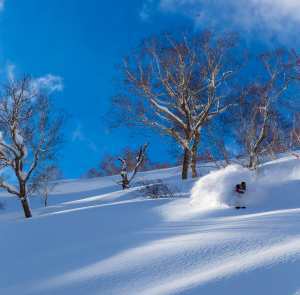 All this travel sure beats cyber stalking, but that’s another column – the world’s best snow websites and where to find your favourite big name skiers.